David Schumacher is a composer, bandleader, and educator who began his schooling with Branford Marsalis and Andrew Speight at Michigan State University. While there he worked with Charles Ruggiero and Mark Sullivan to complete a BM in Composition/Theory in 1997. Following that he spent two years studying composition with Bob Brookmeyer at the New England Conservatory of Music earning a MM in Jazz Studies-Composition (with distinction in performance). Along the way Schumacher has also studied with jazz greats George Russell, Jerry Bergonzi, Rodney Whitaker, and Marcus Belgrave. In addition to his projects in NYC, David has performed with artists including Bob Brookmeyer, Branford Marsalis, Frank Carlberg, and the Bob Brookmeyer Composer’s Big Band. 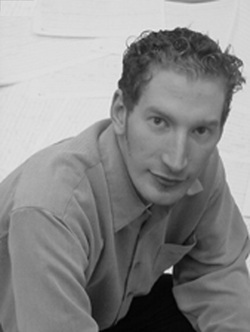 His compositions have been commissioned by performers including: New England Conservatory, Berklee College of Music, Michigan State University, Oswego State University, LeMoyne College, Chalumeau Chamber Ensemble, Joshua Thomas, Joe Lulloff, Dead Cat Bounce, Triocracy, Andrew Speight, and various high schools around the country. Schumacher's compositional efforts include works for jazz ensembles, symphony orchestra, chamber ensembles, solo instruments, musical theater, voice, and arrangements of existing works for various ensemble configurations. His works have been performed at or in the Kennedy Center, Jordan Hall, North American Saxophone Alliance Conference, Montreux-Detroit, Notre Dame, Lansing, and Plattsburgh State Jazz Festivals, Michigan State Jazz Spectacular, and New England Conservatory Commencement. In addition to his efforts as a composer, Schumacher is Director of Jazz for Pentucket Regional High School where his ensembles have won top honors at the state and national level. He and his wife, clarinetist Monica Duncan, also own and operate DS Music Studios in Newburyport, MA.